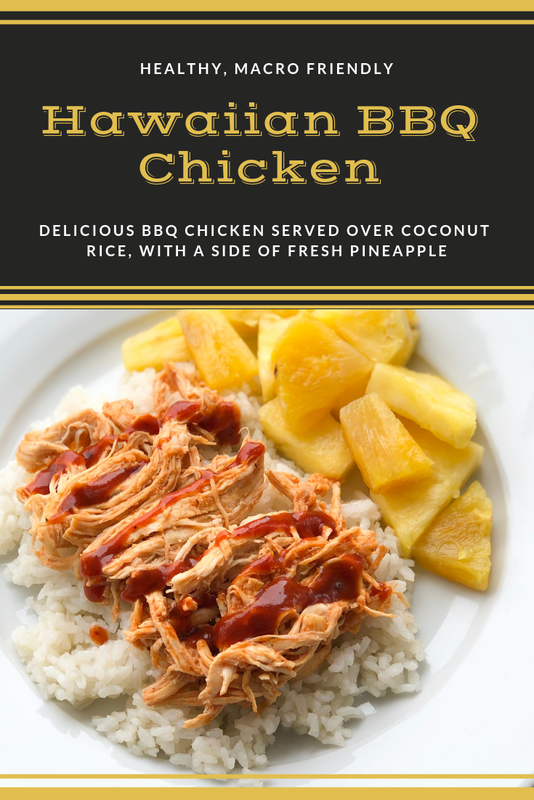 This Hawaiian BBQ Chicken makes for a delicious, healthy dinner! This meal is hearty, fresh, and macro friendly! It's a win win! 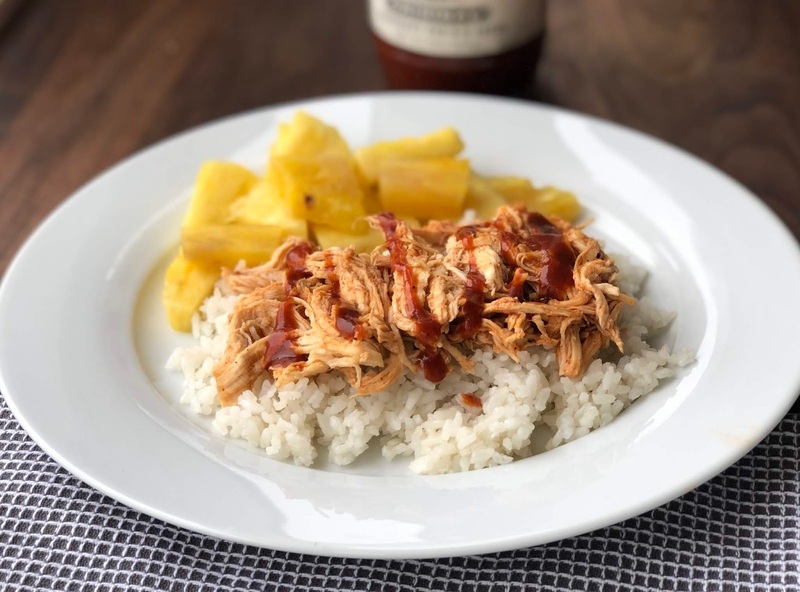 The BBQ chicken is served over a bed of coconut rice, with a side of fresh pineapple. This meal is low calorie, high protein. and totally flavorful. 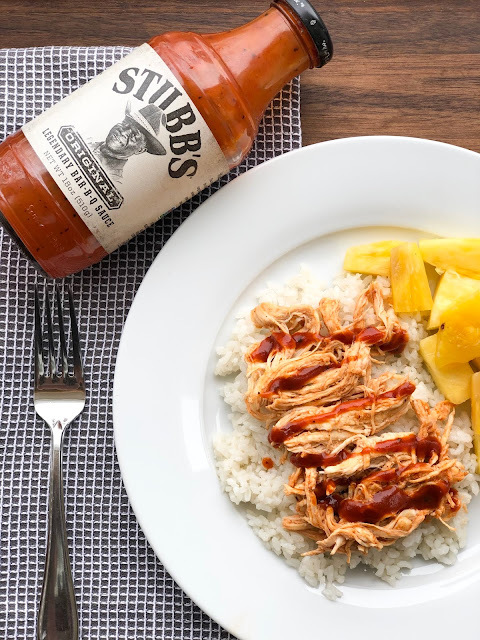 The secret for keeping the calories down in this meal is in the BBQ sauce. Make it with me! 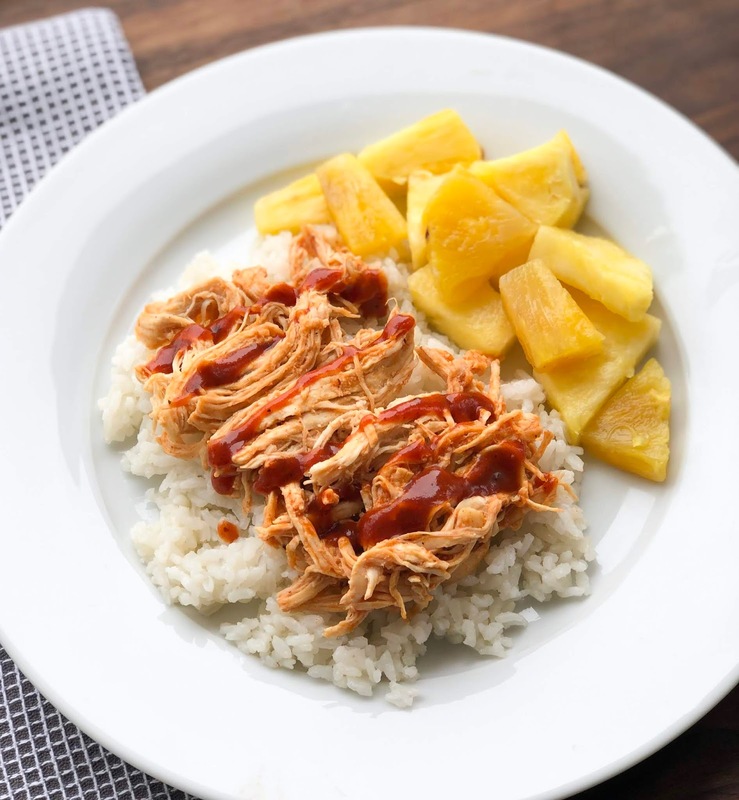 This meal is quickly becoming a staple in the dinner rotation! Everyone loves it! I use my Instant Pot's to cook the chicken and the coconut rice. 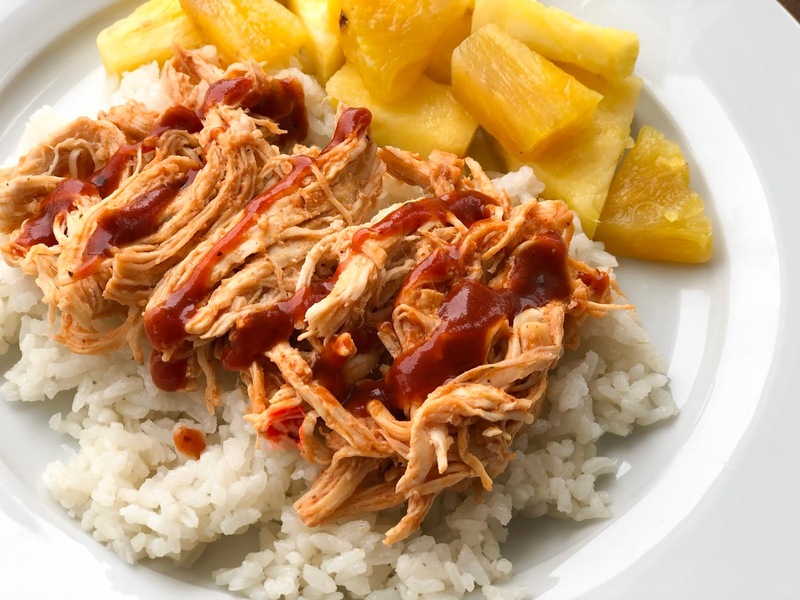 If you don't have two Instant Pots, don't worry. I have included directions for cooking the rice in the instant pot, rice cooker, and on the stove top. The secret to making this dinner so delicious is in the BBQ sauce! I have found a new healthy, delicious BBQ sauce. It's low in calories but it doesn't lack in flavor. 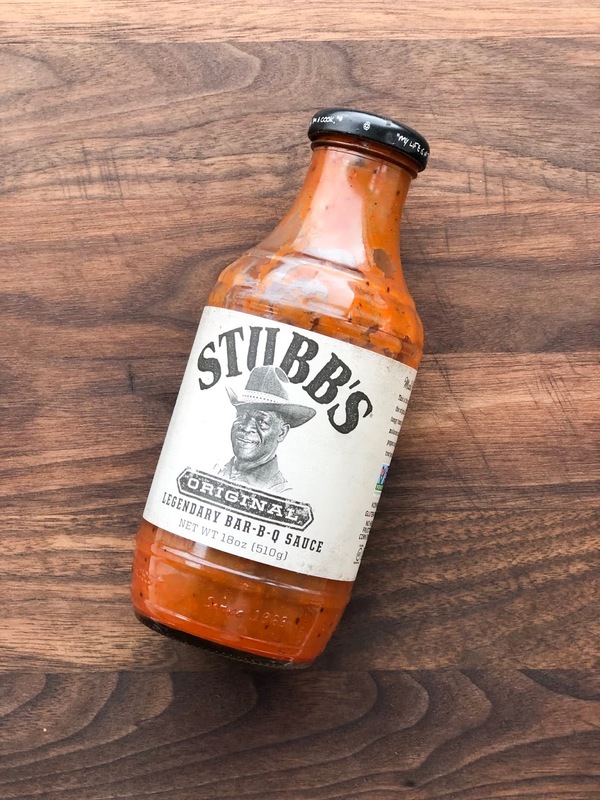 It's Stubb's BBQ Sauce! 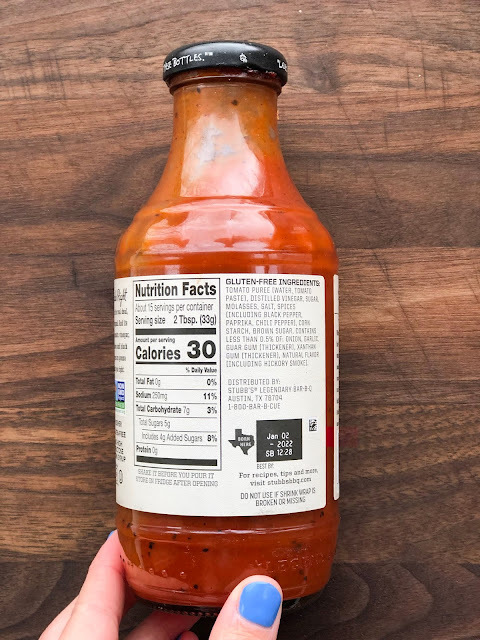 It has a blend of tangy tomatoes, vinegar, and black pepper. It's also Gluten Free and All Natural Ingredients. It's made with real sugar - no high fructose corn syrup. This recipe is healthy! I have included the calorie break down and macros for this recipe below! I have been counting macros lately and I am loving it! Season the chicken breasts with italian seasoning, salt and pepper. 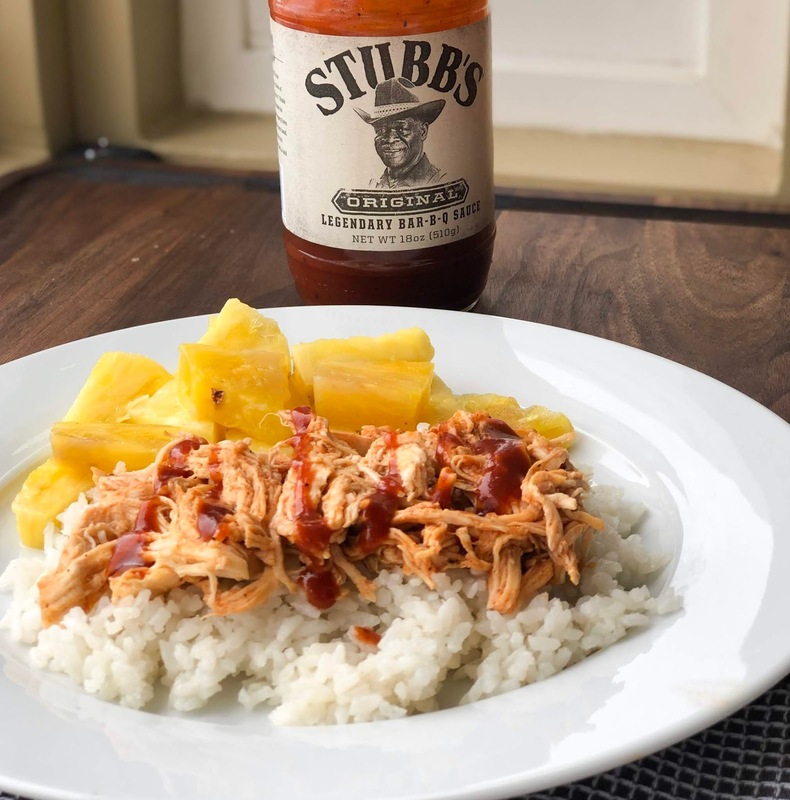 Add chicken, chicken broth, and Stubb's BBQ Sauce to the Instant Pot. Seal the Instant Pot and manually set the timer to 25 minutes (frozen) or 30 minutes (fresh). When the chicken is finished cooking, quick release the pressure. 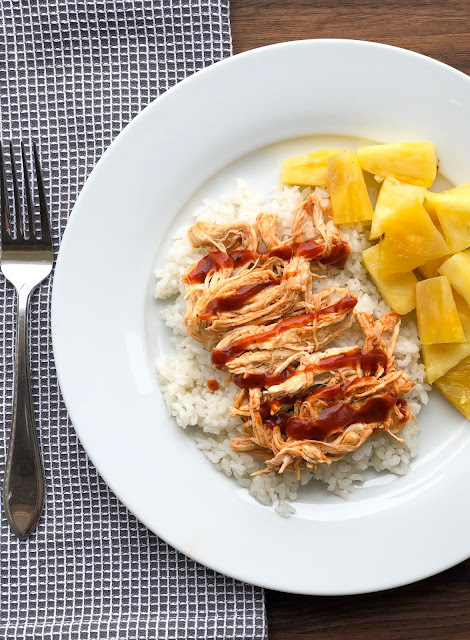 Remove the chicken and shred with two forks. Chicken should shred easily. Serve BBQ chicken over coconut rice, with a side of 1/2 cup pineapple. 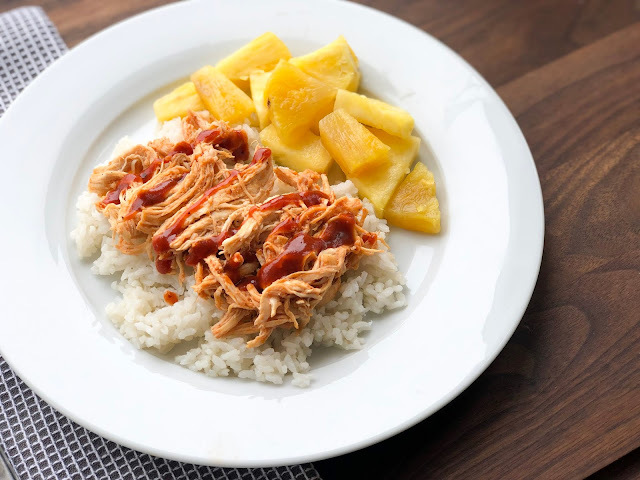 Instant Pot: To the Instant Pot, add the rice, coconut milk, and water. Seal the Instant Pot lid and manually set the timer to 10 minutes. When finished, quick release the pressure and serve. Rice Cooker: To the Rice Cooker, add the rice, 2 cups of water, and one can of coconut milk. Press the white rice button and allow it to cook. Fluff the rice when finished and serve. StoveTop: In a 3 quart pot or saute pan, bring rice, 2 cups water, and 1 can coconut milk to a boil. Reduce heat to low, cover and cook for 20 minutes. Do not remove the lid during this time.